Boat rentals are available at the park through the park's concessionaire, Wet Monkey Power Sports Boat Rentals. Hours: October – March: 8 a.m.-4 p.m.
April – September: Weekdays: 7 a.m.-4 p.m. This park has handicap accessible restrooms. Restrooms are located in Lots 1, 2 and 4. There are also two restroom buildings in the campground. Dump station is available to registered campers. Non-campers may use the dump station for $15.00. The campground is open. All sites now have 50 amp electrical hookups and access to potable water at individual sites. 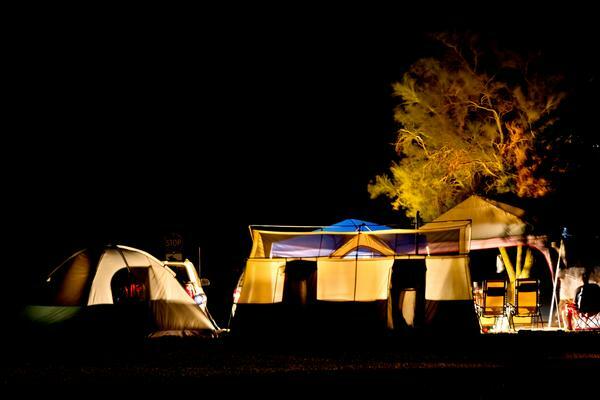 Nightly camping fee is $35 a night; except beachfront sites which are $40 a night. Beachfront sites include site numbers: 3, 4, 7, 8, 10, 14, 16, 34, 36, 38, 40, and 41. A paid camping permit entitles the holder to use of the shower/restroom, water, dump station, and use of park day-use facilities. Sites include a picnic table and a fire ring. Most sites have shade armadas. Most sites can accommodate both RVs/Motorhomes and tents. The maximum length of stay is 14 nights. Total occupancy will not exceed six adults and a total of 12 individuals per campsite. Check-out time is 12 noon. Check-in time is 2 p.m. All fees must be in advance. Please register at Contact Station. Note: From April 1 through Sept. 30, there is a two night minimum stay for weekend camping: you must reserve both Friday & Saturday night. For Memorial Day weekend, July 4th weekend, Labor Day weekend and Columbus Day weekend, there is a three night minimum stay for holiday weekend camping: you must reserve Friday, Saturday, and Sunday nights. Showers are located in the campground for use by registered campers only. Open year-round. The picnic area is at the day-use beach. There are picnic tables, shade ramadas, grills, potable water and restrooms available. There are two boat ramps, located in lot 2. There is also a Personal Watercraft (PWC) ramp, located in lot 1. Due to fluctuating water levels, check with a ranger about ramp conditions. 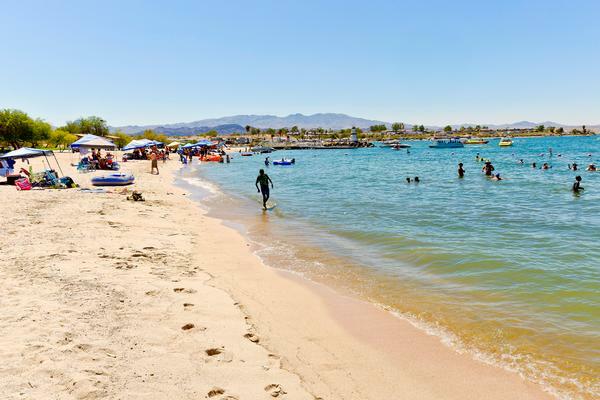 Fishing opportunities abound at Lake Havasu State Park. Known as a world-wide bass fishing destination, this lake consistently produces both quality and quantity filled experiences for beginner and experienced anglers alike. Commonly seen birds: Gambrel’s quail, roadrunner, great blue heron, red tail hawk, American kestrel, killdeer, great horned owl, hummingbirds, turkey vultures. Commonly seen mammals: coyote, bobcat, desert cottontail, kangaroo rats, ground squirrels. Best places to view: Interpretive Garden & the Mohave-Sunset Trail. Vehicles must stay on paved roads. No glass containers on beaches. All state liquor laws are strictly enforced. Pets are not allowed on beaches. 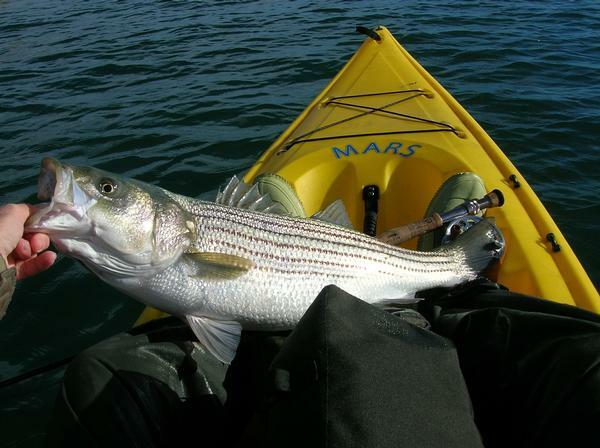 No fishing from boat docks. Maximum 14 nights in a 30-day period. Campsite must be occupied overnight. The person who registers for the campsite is responsible for all activities in the site. Total occupancy will not exceed six adults and a total of 12 individuals per campsite. Drive and park on designated, paved areas only. All campers must register at the Contact Station. Fires must be attended at all times and kept within the provided fire ring. No fires during high winds. Special fire regulations/restrictions may be in place. Check with rangers. Quiet hours are from 10 p.m. to 6 a.m. Arizona time. No loud noise at anytime. No music or generators after 10 p.m. Arizona time.